Product code: 930 Categories: Sold Items, Sold Jewellery. This locket is truly sensational! Made in 15ct gold, it is set with 9 very sweet pearls set amongst a wonderful vibrant blue enamel. 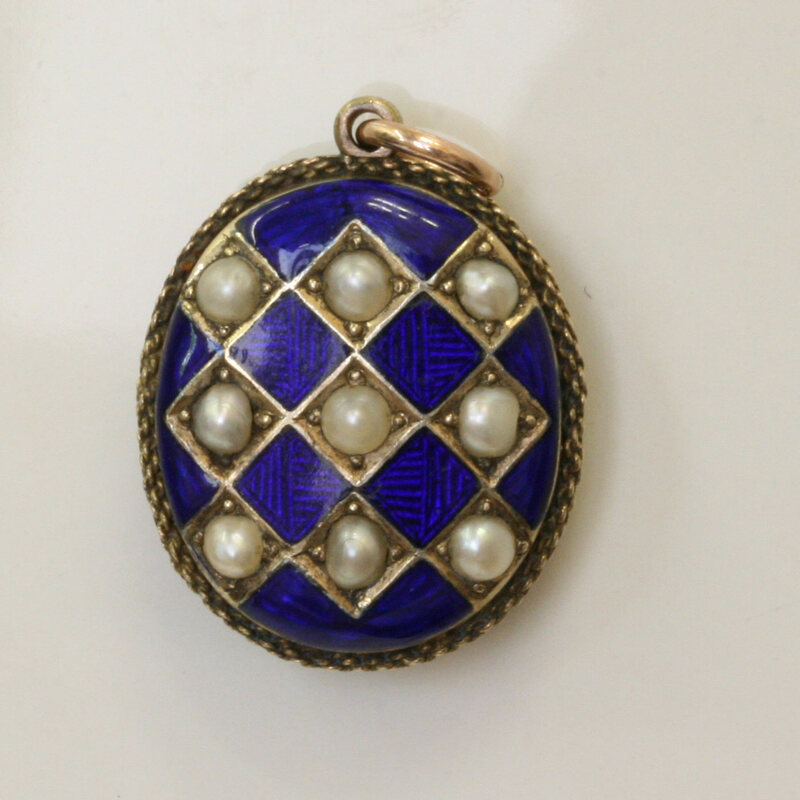 This antique locket dates from around 1890 and measures 23mm x 19mm and is simply amazing and very, very beautiful.